Back in May, I posted a Blog piece about my first ever Bulls Head. 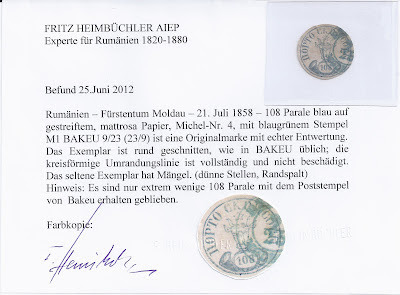 Today, I received the stamp back from Dr Heimbüchler with his Opinion. 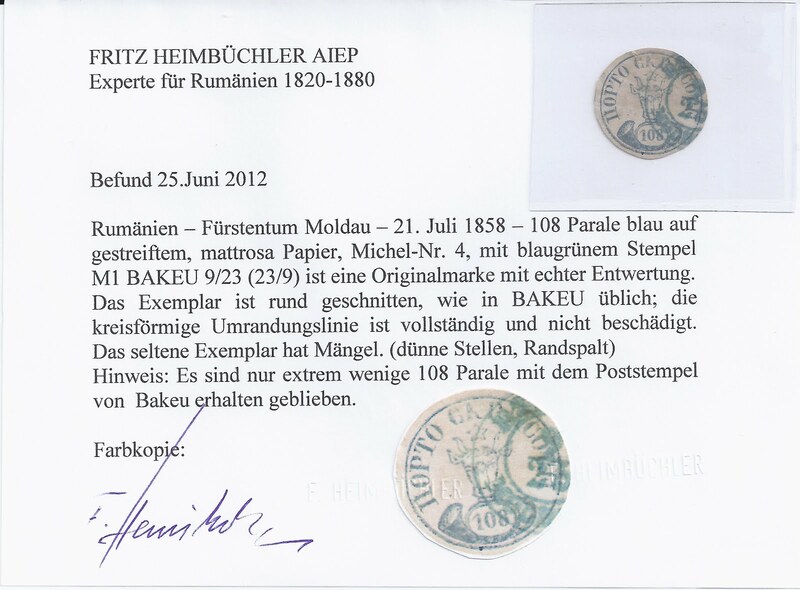 It is especially nice that he thinks the cancellation is BAKEU -in his Inventory of Bulls Heads, he records only two copies of the 108 Parale used at Bakeu out of a total of 177 recorded used copies.